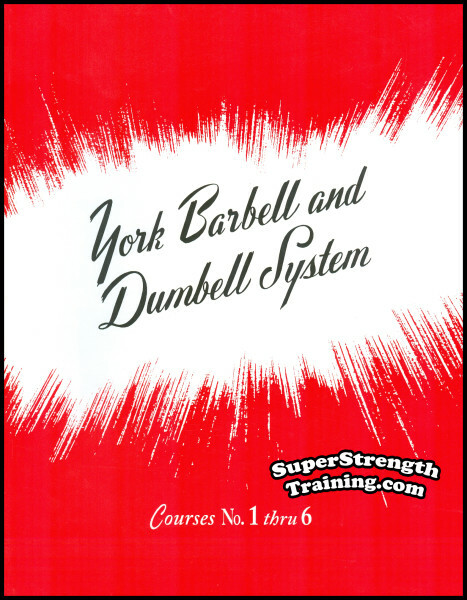 The York Barbell and Dumbbell System is, beyond a doubt, one of the classics among strength training publications. 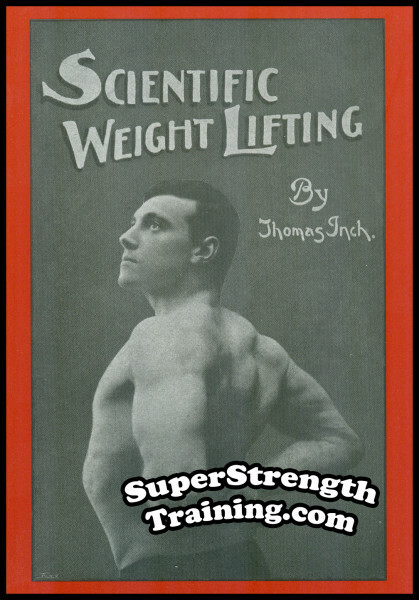 In fact, the training methods found here are often referred to time and time again by all the best authors of serious strength training publications, even to this day! The subject of the York Courses, as they are commonly referred to, sooner or later will pop up whenever these authors talk about fast, result producing training methods, especially for beginners! 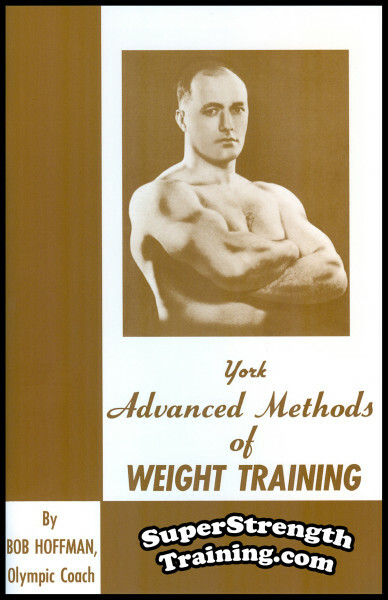 This is a revised and edited edition based on the original York Barbell and Dumbbell System of Training, in an improved, more convenient, easier to read format so that there is nothing left to chance. Furthermore, keep in mind that none of the original ideas, exercises, training methods, illustrations, etc., have been left out. 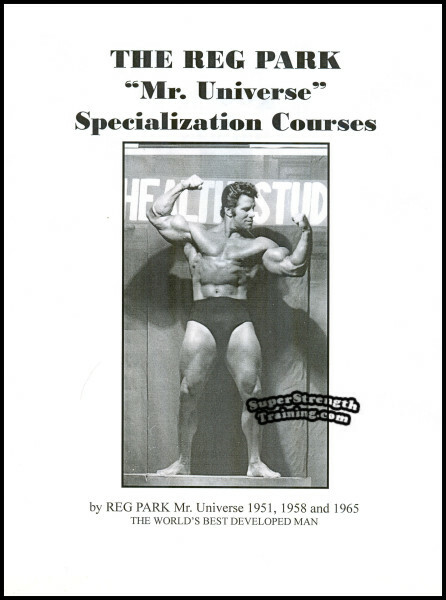 Not only are the Four York Barbell and Dumbbell Courses included, but the very rare and nearly impossible to find Courses Five and Six along with their original full size fold out wall chart posters! 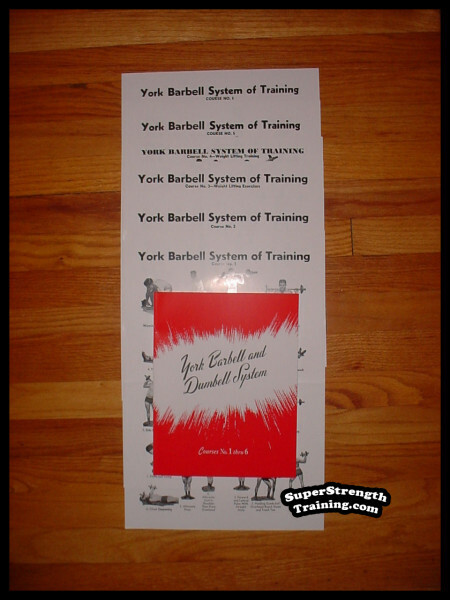 This is a rare opportunity to obtain the entire series of all 6 York Barbell and Dumbbell Courses and full size fold out wall chart posters in one package! Some of York’s National, Olympic and Record Breaking Weightlifting Champions! Richard Bachtell – U.S. Senior National Weightlifting Champion 1929-1931, 1934, 1935, and 1937. Member of the 1932 U.S. Olympic Weightlifting Team. John Davis – 1948 and 1952 Olympic Weightlifting Champion, he won 6 World Weightlifting Championships and 12 U.S. National Championships, and was UNDEFEATED from 1938 to 1953 at Super Heavy Weight! Pete George – 1948 and 1956 Olympic Weightlifting Silver Medalist, 1952 Olympic Weightlifting Champion. Bill Good – 1930-1935 and 1937 U.S. National Weightlifting Champion. John Grimek – 1936 U.S. National Weightlifting Champion, 1936 U.S. Olympic Weightlifting Team member, York Perfect Man 1939, A.A.U. Mr. America 1940 and 1941, Most Muscular Man in America 1946, Health & Strength Mr. Universe 1948, Professional Mr. U.S.A. 1949. Retired UNDEFEATED in bodybuilding! Tommy Kono – Olympic Weightlifting Champion 1952, 1956, Silver Medal 1960. World Weightlifting Champion 1953, 1954, 1955, 1957 1958, 1959, Bronze Medal 1961, Silver Medal 1962. Pan American Games Champion 1955, 1959, 1963. Kono is the ONLY Olympic weightlifter in history to have set world records in FOUR different weight classes: lightweight, middleweight, light-heavyweight, and middle-heavyweight. 26 World Records, 7 Olympic Records, 8 Pan American Games Records. Head coach of the 1976 United States Olympic Weightlifting Team. Mr. Universe 1955, 1957 and 1961. Iron Man Mr. World 1954. U.S. Olympic Hall of Fame 1990. Association of Oldetime Barbell and Strongmen (A.O.B.S.) Hall of Fame 1990. International Weightlifting Federation Hall of Fame 1993. Art Levan – U.S. National Weightlifting Champion at 126 pounds. Norb Schemansky – The FIRST Olympic Weightlifter to win 4 medals: 1948 Silver, 1952 Gold, 1960 Bronze and 1964 Bronze. He set 24 world records in weightlifting. 1955 Pan-American Games Gold Medal winner. He won 9 AAU National Heavyweight titles, 1949, 1965. Three World Championships – 1951, 1953, and 1954. Steve Stanko – National Heavyweight Champion 1938, 1939, and 1940. World Champion 1940. The FIRST man to total 1,000 pounds in the three Olympic lifts on April 19, 1941. AAU Junior Mr. America 1944. AAU Senior Mr. America 1944, where he also won Best Arms, Back and Chest. He was the FIRST Mr. Universe 1947. 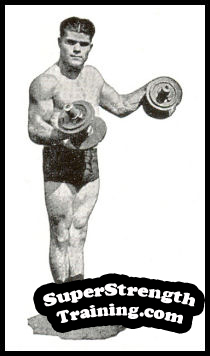 Tony Terlazzo – 1932 Olympic Weightlifting Bronze Medal winner. The FIRST American to win a Gold Medal in Olympic Weightlifting (1936) against international competition. He also won two World Championships (1937-38), and 12 National Titles, the most of any American lifter, with nine of those consecutive from 1937-1945. During his career he set seven world records. 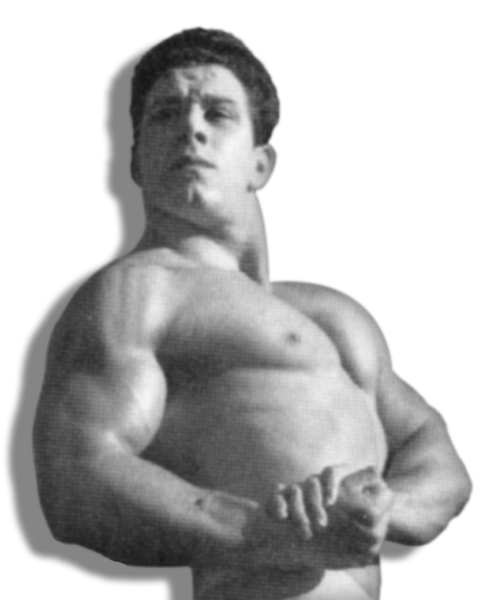 John Terpak – 1937 World Weightlifting Champion Middleweight class, 3rd in the 1938 World Championships Middleweight class; 2nd in the 1946 World Championships Middleweight class; 1947 World Champion Light-Heavyweight class. He won eight US National Championships in Middleweight – 1937-42, and 1944-45. 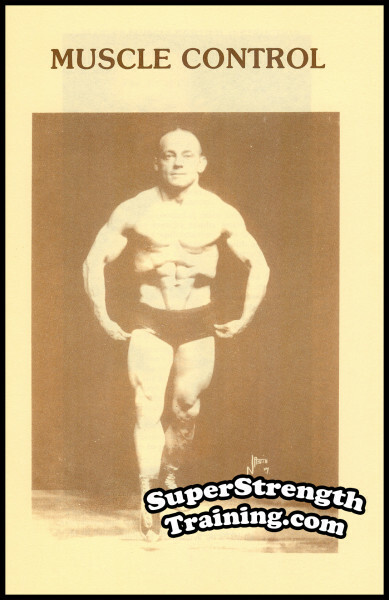 John Terry – 1936 Olympic Weightlifting Team member, Senior National Weightlifting Champion 1938–1941. And the list goes on and on for over four decades! Whether you are a beginner or advanced trainee, The York Barbell and Dumbbell System of Training has something to offer. Basic training concepts that have proven to increase strength time and time again! Everyone, without exception, can benefit from these training routines no matter where they are in their training life! 1. The famous York Barbell and Dumbbell Courses Nos. 1 thru 6. 2. Six complete barbell courses. 3. Five complete dumbbell courses. 4. Instructions for complete beginners. 6. The York Heavy and Light System. 9. The Five International Lifts. 10. The Three Olympic Lifts. 11. 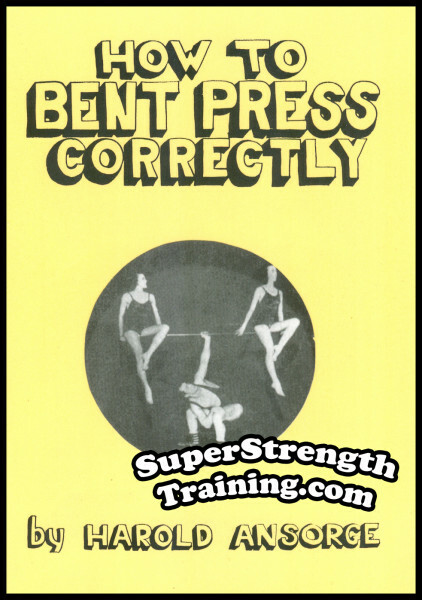 Odd lifts such as the Bent Press. 12. 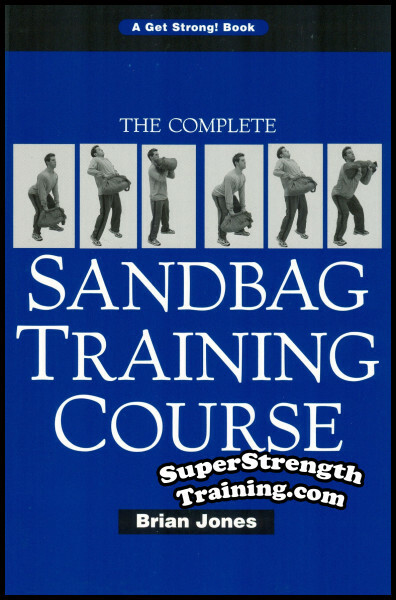 An 8½ x 11, softcover, 72 page training manual. 13. The 6 original full size 12×18, fold out, wall chart posters printed on special 100 lb., heavyweight, glossy, paper! All 6 beautiful posters are fully illustrated with over 100 different rare photographs of members of The York Bar Bell Club demonstrating over 100 different exercises using globe, standard, and Olympic plate loading barbells and dumbbells! A constant source of inspiration and motivation! Ready to be framed and proudly displayed in your gym, den, garage, etc! 14. Excellent training information for those that are just beginning to lift weights. 15. There are great photos of the early York Oil Burner Athletic Club of 1932, National A.A.U. Weight Lifting Champions of 1933, the 1936 US Olympic Weight Lifting Team, John Grimek, Bob Hoffman, Bill Good, Tommy Kono, John Davis, Steve Stanko, Anthony Terlazzo, etc. 16. …and much, much more!!! 1952 and 1956 Olympic Weightlifting Champion; 1955, 1957 and 1961 Mr. Universe; 1954 Mr. World. This a rare opportunity for those that had the York Barbell and Dumbbell Courses Nos. 1 thru 4 when they began training. Many of you lost or misplaced your courses and fold out wall chart posters. The booklets began to tear through use, the fold out wall chart posters developed tears in the creases, holes or tears in the corners, etc. This is your big chance to replace those courses and acquire, as a bonus, Courses Nos. 5 and 6! 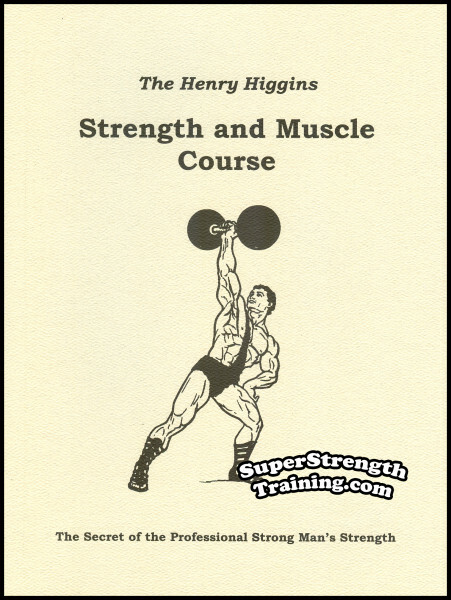 Order your copy of these classic weight training courses while the supply lasts! P.S. An 8 1/2 x 11 1/2 softcover book with 69 pages, complete with all 6 fold out wall chart posters! Get your copy today! When muscles are under control of the mind, they not only develop more completely, but are able to put forth far more effort in strength because the effort is based on the strength of the will. Muscle control relaxes the entire body and saves nervous energy caused by nervous tension. This course explains in depth all the popular controls. Read More! 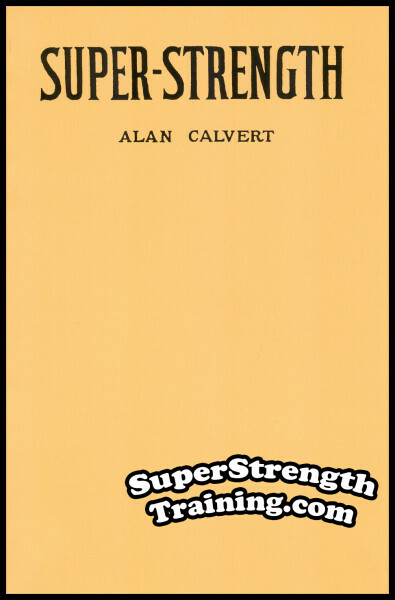 Alan Calvert had more original innovative, result producing, ideas on weight lifting than any other man of the early 20th century. Founder and owner of Milo Bar Bell Co. in 1902 and editor and publisher of “Strength” magazine. 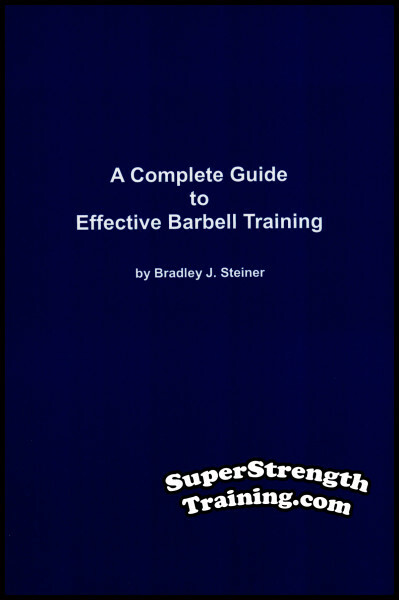 Considered one of the best books of all time and, in its day, the proverbial “barbell bible”. Read More! 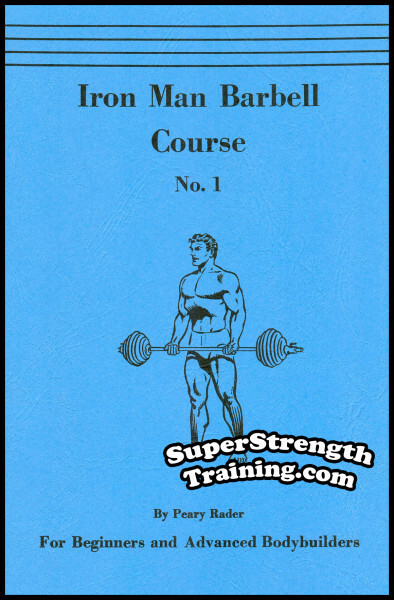 The same courses that shipped with Iron Man Barbells for over 30 years. They contain all the information needed to build an outstanding physique and great strength. Pupils rate them among the very best after trying all other exercises and routines. Read More! Here’s the full and authentic story of the man who many authorities consider the greatest strongman of all time. Hermann Goerner was a giant of a man, weighing as much as 290 lb. 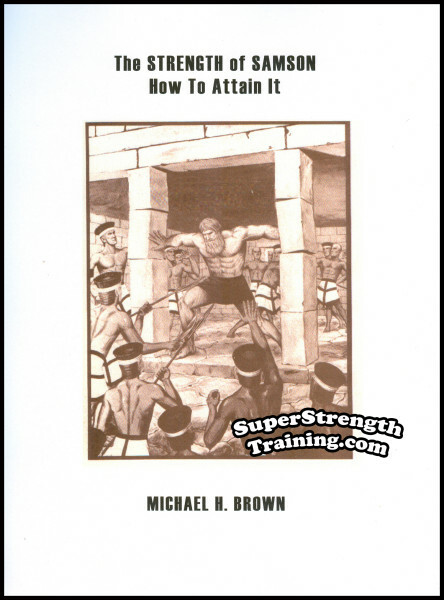 Learn his unbelievable lifts, methods and secrets of how he developed his great strength. Read More! The author won Bernarr Macfadden’s “America’s Strongest Man” contest in 1922. 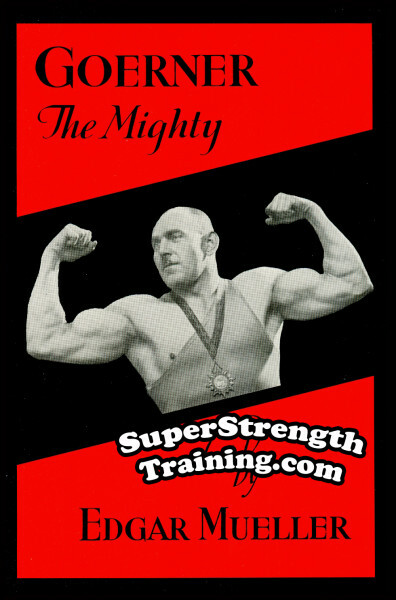 He was a world renowned strongman featured month after month in Alan Calvert’s “Strength” magazine, books, and courses. Learn complete relaxation and concentration to enable you to control every muscle of your body. Read More!